Huaian TANY Hydraulic Machinery Co., Ltd.
Shandong Jinhong New Energy Co., Ltd.
2.What's your payment terms9 A: T/T, L/C is also acceptable. 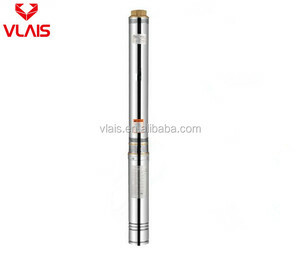 5.What's your warranty for solar pump9 A: 3 years for all the models of solar pump. 6. Can we make the products with our brand 9 A: Yes, of course. dc solar submersible pump are fitted with a permanent magnet motor which enables the efficient use of energy from nature. 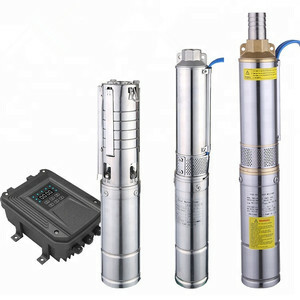 The dc solar submersible pump adapt to the characteristic weather profile of any given area. 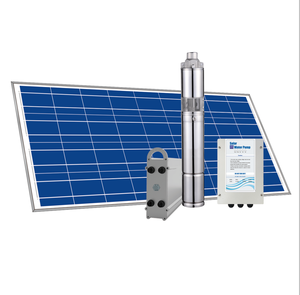 dc solar submersible pump is more than just a pump &ndash;it's a complete intelligent system. Water pumps features . Control water height; . Ambient temperature -20&deg;C-50&deg;C .
Zhejiang SHINE FENG Trading Co., Ltd.
ASJ Submersible Deep Well Borehole Pump Is Composed Of ASJ Submersible Pump And YQS Type Submersible Motor Integrated Working Under Water. 7.The Main Role Of The Pipe Section Is Coupled Pump, Lifting It In Wells While Delivering Water To The Ground Up. 3. Q: Is there any Pump s Price s list or Catalogue 9 A: Yes, The new 201 8 Pump s Price s list and Catalogue are ava il able for our approved agent s .
Taizhou Luba Electrical Technology Co., Ltd.
Ningbo Chuheng Electric Co., Ltd.
Fujian Gordon Pump Industry Co., Ltd.
Wenling Ou Yi Electric Co., Ltd.
Alibaba.com offers 65,662 solar water pump products. About 64% of these are pumps, 11% are inverters & converters. 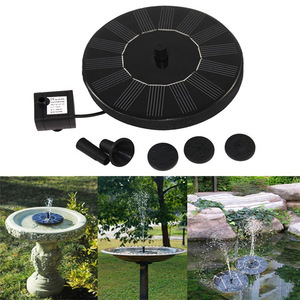 A wide variety of solar water pump options are available to you, such as water, air pump, and boat. You can also choose from submersible, home, and sewage. 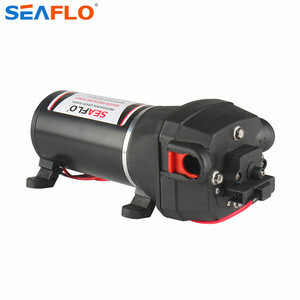 As well as from piston pump, multistage pump, and screw pump. 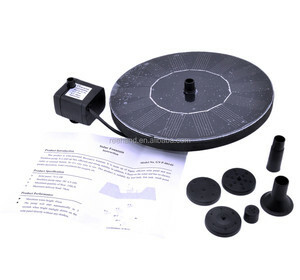 And whether solar water pump is high pressure, low pressure, or medium pressure. There are 65,338 solar water pump suppliers, mainly located in Asia. The top supplying countries are China (Mainland), India, and Taiwan, which supply 99%, 1%, and 1% of solar water pump respectively. 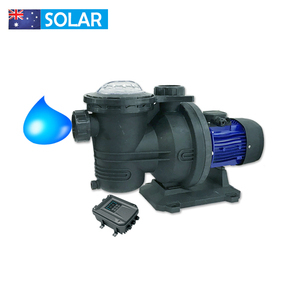 Solar water pump products are most popular in Domestic Market, Africa, and North America. You can ensure product safety by selecting from certified suppliers, including 43,467 with ISO9001, 7,860 with ISO14001, and 6,013 with Other certification.